Teen Still Loves Goodwill’s Prices–Look What She Found Today! Here’s what my daughter found and everything looks fantastic on her. She found four items that were $3.99 each. So, for $16, she was able to get four items for the price she’d pay for one flimsy piece of clothing from a regular clothing store. 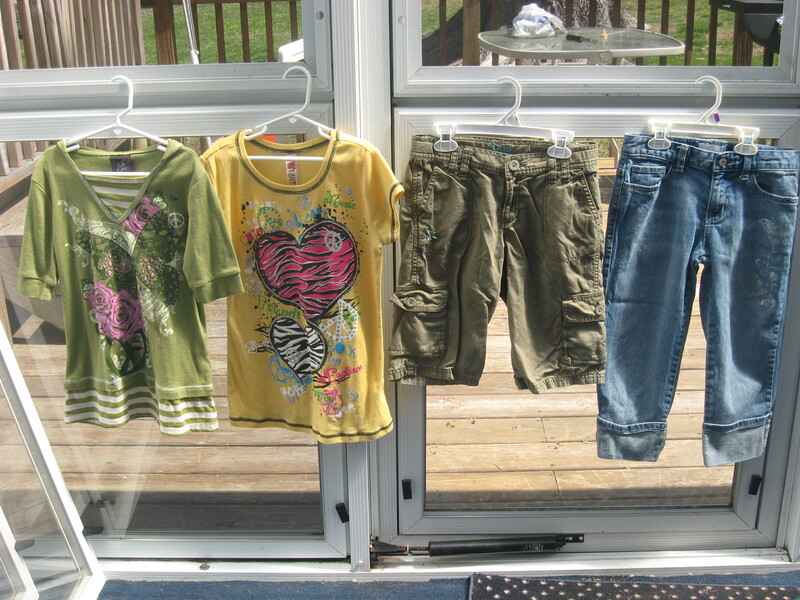 The tops are in great shape, hardly worn, and the jeans (Old Navy–with adorable detailing) and shorts (Gap–also with cute detailing) look brand new and fit her perfectly. We left before Aimee checked out, but I think her family scored some great deals, too, since it was “1/2 off blue ticket” day. I can’t wait to get a day to myself when I can scour the racks for some new items.